Analysis: It can’t be this easy, right? The owners of Justify are back once again, this time with Improbable, who looks an awful lot like the 2018 Triple Crown winner. He is a perfect 3-for-3 so far while never being challenged. 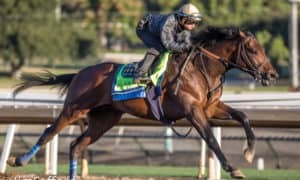 Currently, he is working well at Santa Anita in preparation for his 2019 debut. 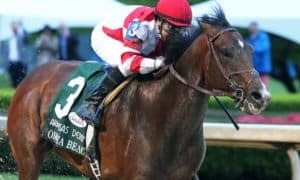 Analysis: The Breeders’ Cup Juvenile winner is getting set for his 2019 debut with several solid works at Santa Anita. 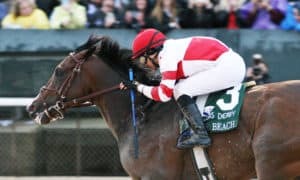 He can become the third Juvenile winner to win the Kentucky Derby and is especially dangerous with Baffert on his side. There is no doubt that if the Derby was today, he would win; however, can he continue to develop and peak at the right time? Analysis: This is both the third-best Baffert horse and the third-ranked horse on our Top 20 list, and that shows Baffert’s strength and depth. 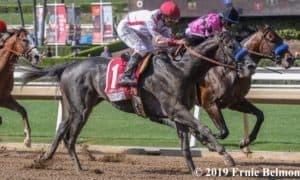 Mucho Gusto has an advantage over the top two horses in his own barn, though, as he made his 2019 debut a winning one in the Grade 3 Robert B. Lewis Stakes. Analysis: Instagrand is all the rage; however, I’m suggesting we tap on the breaks just a bit. I’m in love with his talent, but we are talking about a horse that has never been around two runs or raced since August of last year. His first race as a 3-year-old is going to be ultra-important. You can’t go crazy about him until you see how he has developed off of this lengthy layoff. 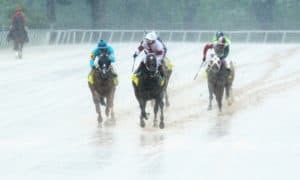 Analysis: From a visual standpoint, this horse looks like one of the crop’s best; however, he has just one race under his belt, which came over a sloppy track. Hidden Scroll earned an eye-popping 104 Beyer for his debut effort, which has all of us buzzing, but now he must prove that he can repeat that effort against better company, and on dry land. The potential is definitely there, though. Analysis: So far, he is 2-for-2 on the dirt while never even being challenged. His Grade 3 LeComte Stakes win was very impressive and elevated him to this position. He can move up the ranks even further with a repeat performance in the Grade 2 Risen Star Stakes in a couple of weeks at Fair Grounds. 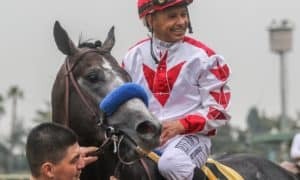 Analysis: After winning the Grade 2 Kentucky Jockey Club Stakes, he took a little break, but now he is back at the track and working well for his 2019 debut. This colt seems to be developing rapidly, which could make him dangerous when the big-time races are contested. Analysis: We see this type of horse every single season on the Kentucky Derby Trail. 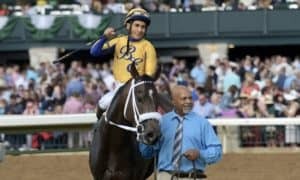 He will always show up with an honest effort and make a nice run at the end, but he is not talented enough to win a major Kentucky Derby Prep event. 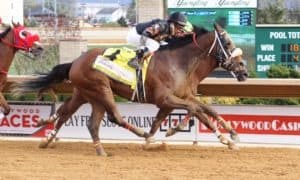 Analysis: He was the Cinderella story of 2018 with a major upset in the Grade 1 Breeders’ Futurity at Keeneland, followed by a runner-up effort in the Breeders’ Cup Juvenile. We are about to find out how he’s developed since his juvenile season when he makes his 3-year-old debut in this weekend’s Grade 3 Sam F. Davis Stakes. 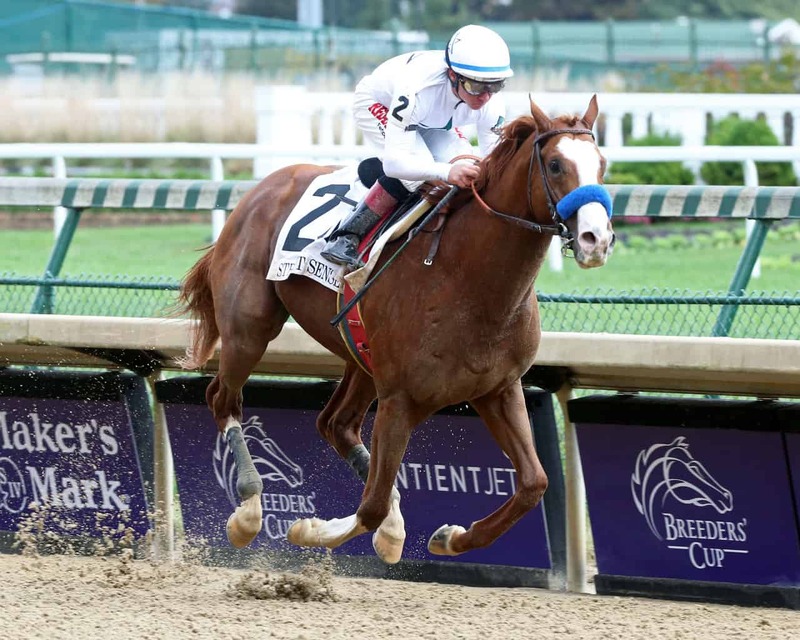 Analysis: The upset Grade 2 Holy Bull Stakes winner debuts at #10 in the rankings. Was that win a fluke, or is he a for-real prospect? That is up for debate, especially since his speed figure came back fairly slow. However, he is one to keep an eye on because he could improve with his second start of 2019. Analysis: Right now, we are in a wait-and-see position with him. His 2-year-old year was very impressive; however, that doesn’t mean he will be just as strong as a 3-year-old. He is still a few works away from his first start of 2019. Analysis: This son of Tapit won a sharp maiden special weight at Aqueduct to round out his 2018 and is now being pointed to the Grade 3 Sam F. Davis Stakes this weekend. We’ll know a lot more about him after that race. Analysis: This horse seems to be a lot like Gunmetal Gray. He is likely to show up with a solid effort during all of these prep races; however, he might not be talented enough to win a major event. Owner: Shields, Jr., Mrs. J. V. and McFadden, Jr., E. J. M.
Analysis: Mott is loaded with potential prospects this year. Country House was a visually impressive winner in maiden special weight last time out at Gulfstream Park, which is likely to put him in a Kentucky Derby Prep Race for his next start. Analysis: With only one loss on his resume, this horse must be respected, especially after back-to-back stakes victories. Fires is no stranger to having good horses at Oaklawn Park. He will be the one that all of the shippers will have to deal with when races like the Grade 2 Rebel Stakes and the Grade 1 Arkansas Derby roll around. 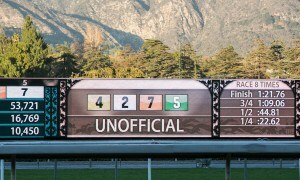 Trainer: Robert E. Reid Jr. 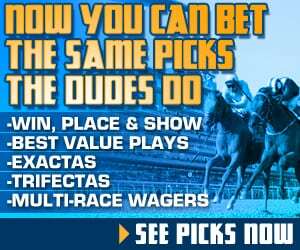 Analysis: He must rebound dramatically after an average third-place effort in the Grade 2 Holy Bull Stakes. Perhaps he was a bit short going into the race, which could have made a big difference. His next race will be critical. Analysis: This horse seems to be picking it up a bit in the morninga, which could mean that he is getting closer to his 2019 debut race. He is a “grind-it-out” type that may lack the talent to take home a major race; however, he can still play a factor in the underneath positions. Analysis: Tax earned a 96 Beyer speed figure for his Grade 3 Withers Stakes win, which was the highest in a busy weekend of races for 3-year-olds. 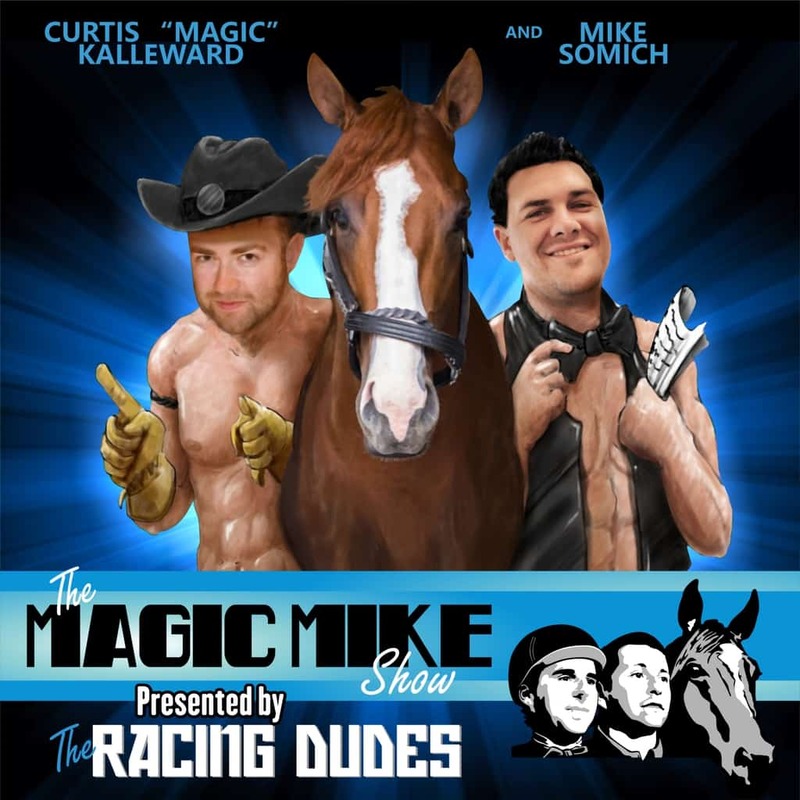 This continues to be an incredible story because the horse competed in two maiden claiming events before jumping up to the graded stakes level. Analysis: After a sharp allowance score at Gulfstream Park, it looks as though he is now pointed to the Grade 2 Fountain of Youth Stakes. He should be tough in that race, especially considering the underwhelming result of the Grade 2 Holy Bull Stakes. Analysis: This colt just continues to improve, and while it’s questionable that he has the speed to compete with the elite horses in the group, he has proven to be a horse that will try extremely hard. He will look to continue to pile up Derby points with a start in the Grade 3 Southwest Stakes next.